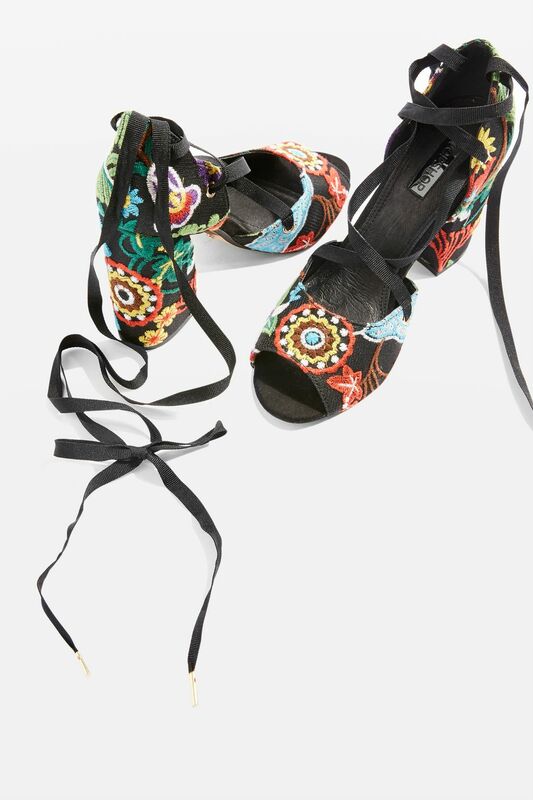 Today's So Shoe Me is the RHAPSODY Embroidered Heeled Sandals, $85, by and available at Topshop. One of my favorite trends this season is embroidery, Mixing timeless techniques with style forward details makes these bright hued heels the perfect splurge this summer. The lace-up front and block heel add stylish comfort while the bright embroidery is the perfect pop of personal style. Pair these pretty heeled sandals with a standout velvet skirt and a classic turtleneck for a chic pre-summer look. So Shoe Me a par of lace-up embroidered heels that will add modern and timeless details into my everyday summer wardrobe. 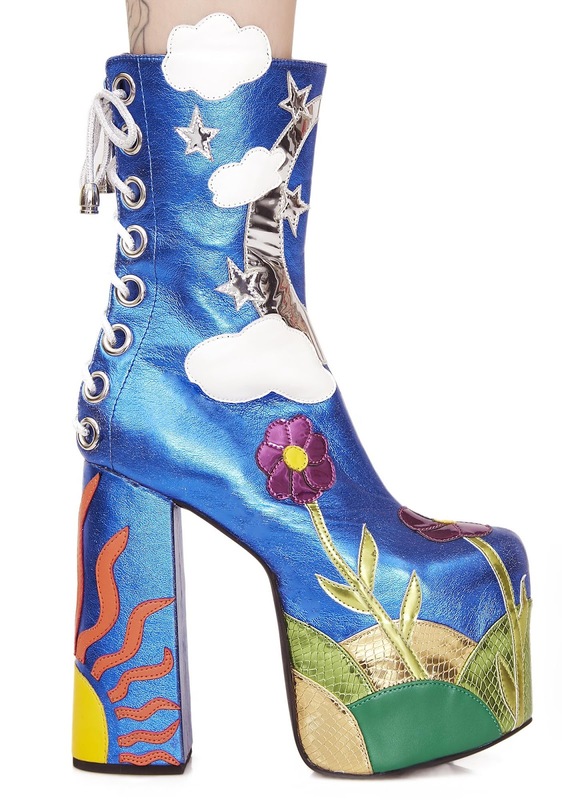 Today's So Shoe Me is the Landscape Platform Boots by Current Mood, $98, available at Dolls Kill. One of my greatest footwear obsessions is the iconic Luichiny platform boots from the 90s. The classic club kid vibes and whimsical cut-and-sew art makes these vegan leather babies from Current Mood an ideal replacement for your vintage faves. The sun, moon and sky make for charming wearable art and since these boots are brand new you don't have to worry about collapsing soles as you tear up the dance floor. Pair these club kid boots with a rave ready lace-up bodysuit and a light up jacket for the perfectly excessive festival after-hours look. So Shoe Me a pair of colossally chunky boots that will add some rave-ready art to my signature summer staples. Today's So Shoe Me is the Gobi Desert Moccasin Boot by Jeffrey Campbell, $210, available at Free People. 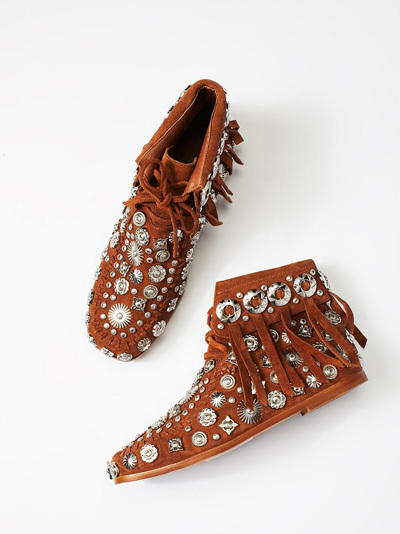 Let your boho babe free with these concho cool moccasin boots by Jeffrey Campbell. These fest friendly fringe suede boots add the perfect mix of boho and on trend style to your favorite summer separates. An eclectic mix of metal embellishments adds a signature step to these easy slip-on boots. Pair these must-have moccasin boots with a distressed graphic tee dress and a sparkling sequin and fringe cape for a perfectly dramatic summer concert look. So Shoe Me a pair of concho covered moccasin boots that will add a bold boho finish to my favorite summer looks. 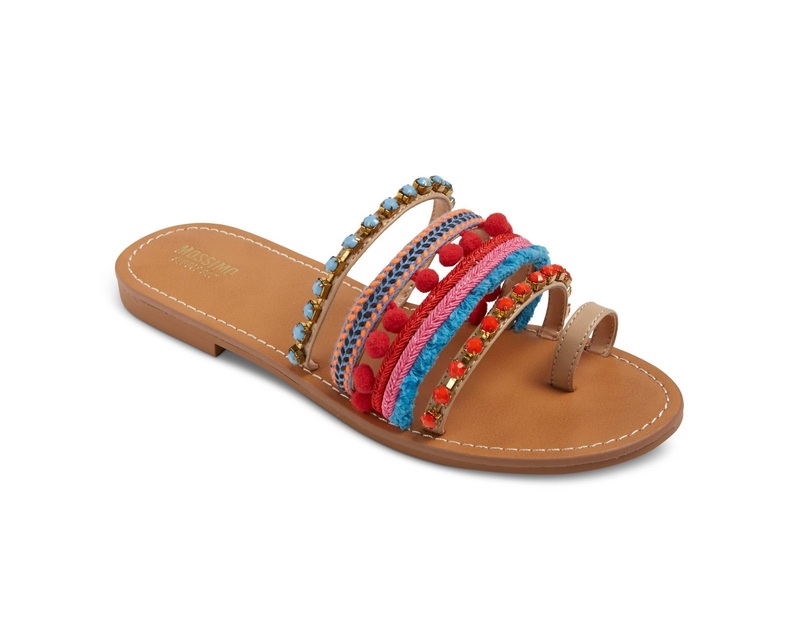 Today's So Shoe Me is the Pom Pom Jelly Sandals by Dizzy, $18, available at Forever 21. 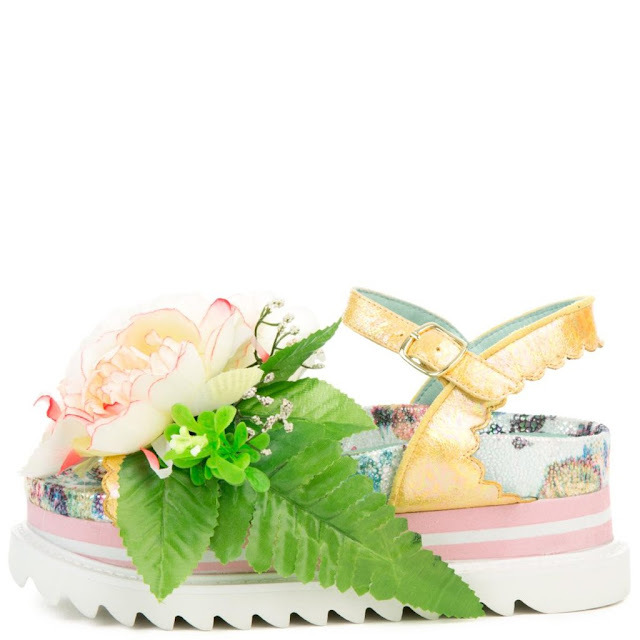 Add some fluff to your feet this summer with these budget friendly sandals by Dizzy. 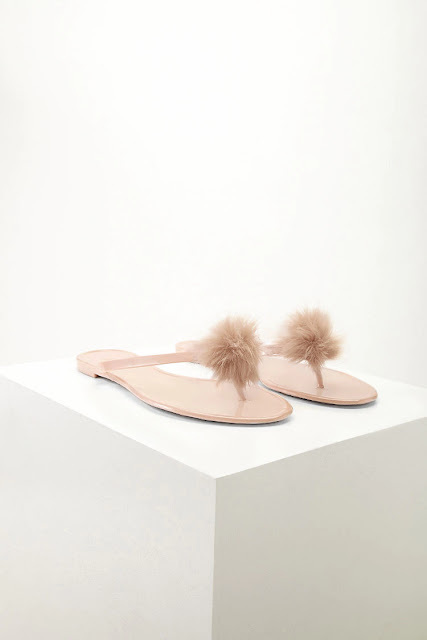 These jelly thongs will add everyday comfort with a statement making pom pom center, The super fluffy accent adds a signature touch to these classic and comfortable sandals. Pair these cheap little thrills with a flirty denim romper and signature shades for the perfect festival look this summer. So Shoe Me a Pair of everyday sandals that add a touch of fluff to my favorite summer separates.